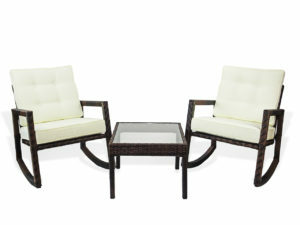 Patio Rattan Furniture Goes Super-comfy! In general, many people prefer to spend vacations in the country, even if they have the opportunity to go on vacation at sea. That is why it is very important that the country house is beautiful and comfortable, so that you can spend time with comfort on it. The garden furniture will come to the rescue. It is patio furniture, like nothing else, can create a cozy and homely atmosphere. The most common rattan furniture for the garden is made of natural materials. Backyard furniture made of plastic and metal is also widely used. The most beautiful and reliable garden furniture, according to the majority, is furniture made of wood. Manufacturers use a variety of varieties of wood. Most often found wooden furniture made from such species as teak and larch. Why are these varieties so popular? The reason lies in the fact that they have a very dense structure, due to which the furniture is durable, well tolerates wet conditions, does not burn out in the sun and does not rot like other types of wood. Such furniture is expensive, but its value justifies itself. A bench, a wooden chair, and a wooden table for dachas, made of wood, will be a worthy decoration of the garden. All garden furniture has a property slightly weather-beaten. In order to get rid of the grayish shade on the tree, you should occasionally wipe the furniture with a brush dampened in warm water. Also very popular is garden furniture made of rattan. Wicker furniture is a sample of style and grace. The rattan is a creeper, which reaches enormous dimensions in length. That’s why all the furniture that rattles from rattan, almost no breaks and joints. Such garden furniture is durable, but not cheap. An alternative to rattan furniture is wicker furniture. It is also durable, but more budgetary. Furniture from willow twigs has a pleasant amber tint. Beautifully and unusually in the garden will look like wrought-iron furniture. Especially in our country it can be bought at reasonable prices. In Europe, metal furniture is considered exclusive and is quite expensive. Furniture made of rattan, willow, wood or metal looks the most advantageous in a green country house. And those who believe that the furniture from the metal is not elegant enough, can easily soften the composition, using soft pads and fabrics for this. Also, furniture for villas often consists of plastic furniture, which is the cheapest of all presented, but not durable. However, those who do not want to buy expensive garden furniture and leave it for winter time in the garden will appreciate this type, as it is mobile, and in case of breakage it is easy to replace. Choosing furniture for the garden, you need to focus on how the garden itself looks. If you are dominated by bushes and flowers, then the furniture should be more airy and light, since it is it that fits well and the interior. It is not bad to have furniture with a canopy, if there are no trees in the dacha that would create a shadow. If you have a large garden with tall trees, then massive classical furniture will come in handy. The presence of garden furniture makes the villa an attractive place of rest for friends and acquaintances. If there are big and noisy companies in your garden, you must take care in advance that there are enough places for everyone. Wooden furniture can not be better suited for these purposes. And for quiet family gatherings, the rocking chair made of rattan is best. It can comfortably fit in even in the warmest weather, wrapped in a blanket. Garden furniture creates a special atmosphere in the country, gives it uniqueness and uniqueness. In many ways it is thanks to furniture that a special mood is created at the dacha. To choose furniture it is necessary with mind and carefully after it to look after. https://rattanusa.com/wp-content/uploads/2018/06/LOGO1.png 0 0 Natasha Shumskaya https://rattanusa.com/wp-content/uploads/2018/06/LOGO1.png Natasha Shumskaya2017-10-23 22:25:332019-01-09 20:43:32Patio Rattan Furniture Goes Super-comfy! Technical progress has brought to our life, along with high technologies, a preference for speed and convenience, the desire for naturalness: the routes to protected corners where the foot of a man has not treaded have become popular, natural products and natural materials are preferred. Thoughts about the ecology became natural in many spheres of human life. Not an exception and interior design. Tired of the intricacy and quaintness of the interior elements, humanity has come to a new style – ecological. Environmentally friendly furniture depends on many components. First of all, this is the material from which it is made. From the ecological point of view, wood furniture, wicker furniture and rattan furniture are preferred. Leather furniture, causing most of the association with soft furniture, despite the conservatism of its genre, is taking on new forms and shapes today. Special chic today – leather upholstery of work tables, internal surfaces of cabinets, bar counters, and wooden chairs. As you know, the most popular things cause the most questions. This is the case with furniture made of wood. How much wood is in the furniture? Which one? Whether a tree? Today, it’s not a secret for anyone that any piece of furniture, even flawlessly wooden, contains adhesives and harmful solvents, the concentration of which should not exceed the established norms. Here different degrees of security are possible, which significantly affects the price of the item. 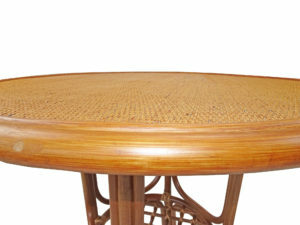 A high place among ecological furniture is woven rattan furniture. Today, rattan is widely used not only in the country house, but also in the interior. From the ecological point of view this material is very convenient. From a flexible vine, you can perform any, even the most intricate and unimaginable thing, and all the joints and joints remain primordial, as at the dawn of civilization, without glue, without nails. In addition, of all environmentally friendly materials, rattan is most unpretentious and adapted to different climatic conditions. Today, a wide range of furniture and interior items are made from rattan. Creating a design of the living room, cottage area or the reception office, you need to provide a place where you can treat your guests with a cup of coffee. A wonderful solution – coffee kits from rattan. Such sets will perfectly fit into any interior, adding to it sophistication. The top of the coffee table, made of glass, will ensure the durability and safety of the original appearance of the kit. Dining sets, armchairs, lounge sets, made of natural materials, have become today not only the decoration of the house, but also a means of relaxation, so necessary for a modern person. 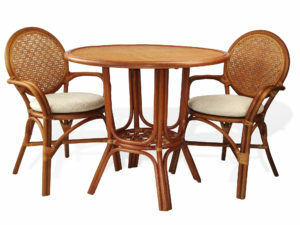 Items of rattan furniture, despite their external fragility, are strong enough and able to withstand heavy weight. In addition, rattan furniture is resistant to high humidity, temperature extremes, which allows them to be used as furniture for rest, not only in apartments, but also in country houses, verandas furniture, open courtyards. Evening in front of the fireplace in a cozy rattan couch, a day’s rest in a soft armchair in the shade of a tree – what could be better? The best interior will be hopelessly messed, if the wooden furniture, rattan furniture, natural furniture, indoor furniture, outdoor furniture, or plastic furniture will suffer such a trouble as spots. Do not panic that at hand there is no special stain remover. Many blemishes can be removed by improvised means. If, of course, do not delay the matter in the long box, and proceed to eliminate the pollution immediately. Often on wicker furniture, wooden furniture, indoor furniture, and rattan furniture there is a white trail from the hot one. You can get rid of it in several ways. For example, put a cup of tea on the table only on a special stand. But if the stain is formed, it can be removed with a mixture of alcohol and vegetable oil (1: 1). Wipe the stain in a circular motion until it disappears completely. If there is no alcohol, it can be replaced with salt, mixing it with vegetable oil. Traces of fingers on the polished surface are removed by talc. A trail of water should be filled with flour. Then wipe with a cloth that is soaked in vegetable oil. Often home furniture suffers from drinks spilled by the owners. Remove the stain from the juice will help a mixture of vinegar and ammonia. Spilled coffee is removed with a solution of ammonia and water (2: 1). To remove the trace of spilled beer, apply a stain of vinegar with water (2 tablespoons vinegar per 1 liter of water). Blot the area with a dry cloth and dry well. Separately about wine spots. Red wine is more dangerous for furniture than white. Therefore, if it has spilled, do not hesitate to sprinkle the stain with salt. Salt will absorb the wine. After that, it will only be necessary to clean the dried up contamination. With white wine is easier. Spots from it should be rubbed with a piece of ice, and then dried. Those who often use candles in the interior, suffer from drops of wax on furniture. Beauty is known to require sacrifices, as well as special knowledge, like this wax with furniture removed. In this case, it will be better to just linger to let the wax freeze. The frozen wax is scraped off, small particles are collected by a vacuum cleaner. The wax remaining in the fabric is ironed through a thin paper (napkin). The procedure should be repeated several times, until all the wax from the upholstery goes to paper. If you have children, you have gum on the furniture. This is a fact and something must be done with it. Remove this rubber misfortune will help a piece of ice. Ice should be applied to the chewing gum and hold it to harden properly. Hardened chewing gum is best removed with a knife. If the furniture was able to plant a very greasy stain, you can remove it by rubbing it with a cloth moistened with gasoline. Darkened metal pieces of furniture are well cleaned with soda, lemon juice or a cut onion. After cleaning, the metal will start to shine again, if you rub it well with a napkin. Many people keep reed furniture at the cottage. Cleaning it is problematic, but possible. To do this, a soft brush and soap solution, where ammonia is needed, should be used. When removing stains, there are several rules that need to be adhered to. First, try to clean the spots immediately after their appearance. Secondly, do not use chemical compounds for wood surfaces. Third, if you pour too much water on upholstered furniture, then together with the original spot you will get a stain with divorces. And lastly, do not dry the wet surface of the couch or chair with a hair dryer. Furniture in the house performs practical and aesthetic functions. To look always was nice, handle the furniture neatly. And, just in case, master the ability to quickly and efficiently remove any stains. Living room is one of all favorite rooms in the house. But in order to you, your family and guests feel comfortable, you need to properly arrange it. Living room should be well lit – it’s so much fun and it’s easier when you know few tricks. Certainly, it’s good when the windows are big. But if the windows are small, they need to be properly framed – to increase at least visually. We recommend to give preference to light, light curtains, which can also be easily removed and washed. A good option is a light tulle without assemblies. By the way, it is easy to wash. Choose artificial light sources carefully. The light should be soft and diffuse – it is provided by matt (moon) lamps. Milky light does not tire the eyes. But too bright lighting can cause headaches. Good for the living room floor lamps with lampshades. The light emitted by them is also soft and diffused. Flowers and plants in pots will bring comfort and beauty to the house. You can arrange bouquets in vases around the room, hang them on the walls of pots with loaches. It is proved that plants help to remove stress, purify the air in the house and even prevent the development of certain diseases. Indoor plants help and work (especially mentally), and relax. Videoecologists believe that the colorful design of the living room, as well as a complete lack of decor, cause psychological discomfort. In such living room furniture you will not relax. The best option – natural colors and calm pictures. And if the wallpaper is monochrome, hang at least a couple of photos or a picture, then the eyes will not run in vain along the wall, trying to catch something, sending an alarm signal to the brain. Violets perfectly clean air, long and beautifully blossom, increasing mood to owners. Well, when the house has aloe: from its leaves, you can prepare a medicine for a cold, stomach ulcers and even from aging. Carpet gives warmth and comfort, but also accumulate dust.. And dust causes allergies.. And that’s why we need to take care of the carpets properly. Vacuum cleaners with wet cleaning function help to cope with dust. It is necessarily at least once a year to do carpet cleaning with steam, destroying ticks (this service is provided by dry cleaners). In synthetic floor coverings contain allergens, so it is better to give preference to natural carpets: they are, of course, more expensive, but it’s about the health of your home and family! d that contemplation in the photo of their children normalizes pressure, slows down breathing and noticeably relaxes. Before deciding to turn your own living room into a kitchen-dining room, you should weigh all the pros and cons. The combined dining room and kitchen were born out of a desire to increase space, demolish walls – a person always wants “air”. Especially this desire is actual for owners of small apartments. The combination of the living room and the kitchen allows you to get a free space in which there is enough space for cooking and for a small party. In a large house, it is better to separate the kitchen from the dining room. Especially if the hosts are used to a large number of guests and receptions. One of the arguments that opponent of combining the premises lead is the smells that arise during cooking. But in the nowadays, the problem of burnt food ceases to be relevant. In addition, the aroma of fresh baked goods or roasted meat can hardly be called unpleasant. Cons in the design of the kitchen-dining room is much larger. This new space and scope for the implementation of the most daring design solutions, the opportunity to split the original working and dining areas. Finally, buy a beautiful eco-friendly furniture from natural wood, which in a small kitchen would look awersome. In a large space, kitchen furniture will look quite different – it’s all in the palm of your hand and attracts attention. Wooden furniture has always been a symbol of reliability and stability. The color of wood varies from light yellow-pink and greenish-gray to red-brown shades. RattanUSA allows you to choose the color of furniture from Maple to Black for an individual interior. In any case, it will have a beautiful texture with an outstanding pattern of fibers. Despite all the obvious advantages of the kitchen-dining room, there are always people who want to leave the sacrament of cooking concealed from prying eyes. For some families, the kitchen is almost as intimate a place as a bedroom. It is extremely important for these housewives to share the kitchen and dining room. This allows you not to waste time on putting things in order in the work area before the arrival of guests, to keep the secret of cooking the crown dish, to hide the gorgeous cake outside the door and take it out to the dining room unexpectedly for guests, or just for a moment alone with you during a dinner party. A separate dining room contributes to the spirit of aristocracy. For a large dining table, comfortably, both households and guests can stay. The basis of the dining room is a wooden table and wooden chairs. They set the style. 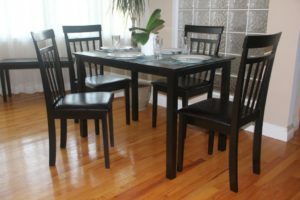 And if you have found the opportunity to arrange a dining room, then you do not need to save on furniture. Let it be natural, ecological and respectable. After all, in any situation, you can equip a comfortable and cozy place for cooking and eating food, so that you get not only culinary, but aesthetic pleasure. Upholstered furniture from rattan with cushions. One of the modern trends in interior design has long been the use of natural materials that make any interior as environmentally friendly and at the same time unusual and interesting. Natural eco-friendly furniture will undoubtedly become an ornament of any apartment or house, despite the dominant style in the interior. Rattan furniture has long been recognized as one of the most used and beautiful types of natural furniture. Rattan – or rattan fiber – has several advantages over its competitors: it is a smoother, lightweight, flexible, durable material than, for example, a nut or bamboo. Such wicker furniture becomes more resistant to moisture, temperature changes, the passage of time and will allow you to keep your favorite interior items for a longer period. The flexibility and strength of rattan as a material for creating furniture allows decorators to create from it even the most incredible designs. Heating rattan, it can be given any shape and braided hard metal structures that were prepared in advance. The result is a soft wicker furniture that can be used in cottages and apartments, gardens and terraces, restaurants and cafes. It can be absolutely any interior items: starting from the simplest tables, coffee tables and chairs, swivel chairs and rocking chairs and ending with intricate chests and even beds! Rattan furniture is so light that it is very easy to rearrange if you decide to do the cleaning indoors, whether it is an apartment or a cafe, or you want to make a cardinal rearrangement of the furniture in the room. Among the trends in interior design, another trend has become relevant: the use of rattan in the decoration of individual furniture parts. For example, you decided to add a bit of tropical eclecticism to your interior – use small rattan panels for chests of drawers or wardrobes. They will give originality to your design and at the same time will be combined with the situation of almost any room. Wicker rattan furniture successfully combines seemingly incompatible things – the ethnic eclecticism of tropical countries and modern design trends, which allows it to successfully fit in any room and any interior. Want to make the interior of your apartment or house original, but are afraid to lose such familiar comfort? Pay attention to rattan furniture – it will make your home cozy and stylish. Wicker furniture has a special charm, refinement, able to bring warmth and comfort to any interior, and at the peak of popularity nowadays. Today, anyone who has acquired a new housing or office, among other possible options for the environment, and examines the network. Wicker rattan furniture looks great as garden patio furniture, as kitchen sets or dining sets, and in other rooms. Wicker furniture is made from a wide variety of flexible natural materials – willows, reeds, lianas, vines, bamboo, and others. The main requirement is that the material must be both strong and flexible. Today rattan and willow are the most popular materials for making wicker furniture. Wicker furniture is most popular among other types of wicker furniture. It is weaved from the shoots of an African liano-shaped palm – rattan, which grows in the tropical jungle. The assortment of wicker rattan furniture is quite wide: dining tables, coffee tables, chairs, swivel chair, rocking chair, coffee sets, armchairs, loveseats. This is the most durable and durable furniture from all types of wicker furniture. It is painted white to give a touch of modernity, or is varnished for classic style and popping eco-style (a simple style in which natural elements predominate). Pros of rattan furniture: can withstand heavy loads (for example, a chair can support a weight of up to 500 kg), high air humidity, small temperature changes.